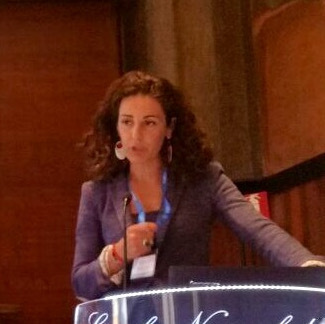 Ginevra Peruginelli is Researcher at ITTIG-CNR. She has a degree in Law and a Ph.D in Telematics and Information Society at the University of Florence. She has also received her Master’s degree in Computer Science at the University of Northumbria, Newcastle. For ten years (starting in 2004) she has been adjunct professor of legal informatics at the Law Faculty of University of Perugia. In 2004 and in 2006 she won two research fellowships as visiting scientist at the Institute of Advanced Legal Studies of the University of London and the Centre de recherche en droit public at the Faculty of Law of the University of Montréal. Since 2007 she is member of the editorial board of DoGi – Dottrina Giuridica, one of the most precious Italian bibliographic source for accessing legal scholarship coming from journal articles. She is the editor in chief of the Journal of Open Access to Law (JOAL) published by Cornell University. Since October 2013 she is member of the Steering Committee of the Free access to Law Association (FALM). Her main research areas involve: Assessment of legal research; Techniques and methods for legal documentation and for the creation of legal information systems; User needs of legal information, Legal strategies for online legal information retrieval; Multilingual access to law; Cross lingual and cross collection retrieval systems.